They may both outwardly and inwardly accept the behaviors, views and demands of the leader. They believe the leader’s actions are reasonable, even when those actions are blatantly self-serving and undermine others. Their occasional skepticism is easily swept away by the leader’s persuasive arguments and rationalizations. Such followers have had their belief systems infiltrated by the leader who is thus enabled to get away with increasingly extreme ideas, actions and demands. Not having found a sense of secure acceptance in Christ, these followers are highly motivated to seek the leader’s personal approval and are highly affected by the leader’s actions, beliefs and even mood swings. Their personal vulnerability to their leader goes far beyond what would be considered normal in the leader-follower relationship. This extreme vulnerability enhances the leader’s ability to alter and abuse the follower’s perceptions, emotions and thoughts. Thus, follower-insecurity creates the opportunity for abusiveness that leader-insecurity takes advantage of. The solution, in both cases, is repentance and security in Christ. 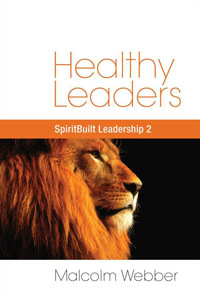 Healthy leader-follower relationships must be based upon a mutual recognition and experience of the centrality and all-sufficiency of the Person of Jesus Christ. The leader hurt the follower out of his own insecurity. He was probably not intentionally trying to hurt the person. A large part of the problem lay in the follower and his own insecurity. Insecure people cannot hurt those who are secure in Christ. Consequently, the solution for a person who is still “hurting” from having been abused in this way in the past is to forgive the abuser and then to let God set him free from insecurity, finding deep security in Christ, so it will not happen again. Unfortunately, it is not uncommon for an insecure individual who has been disappointed by the discovery of defects in an idolized leader, to cast him aside and search for a new hero, to whom he attaches himself in the hope that he will not be disappointed again. The only solution to this cycle is to find security in Christ.